Origin Bar celebrates its first year milestone with a big bang; the Shangri-la Hotel Singapore cocktail bar will introduce a new cocktail menu this February. How time flies! 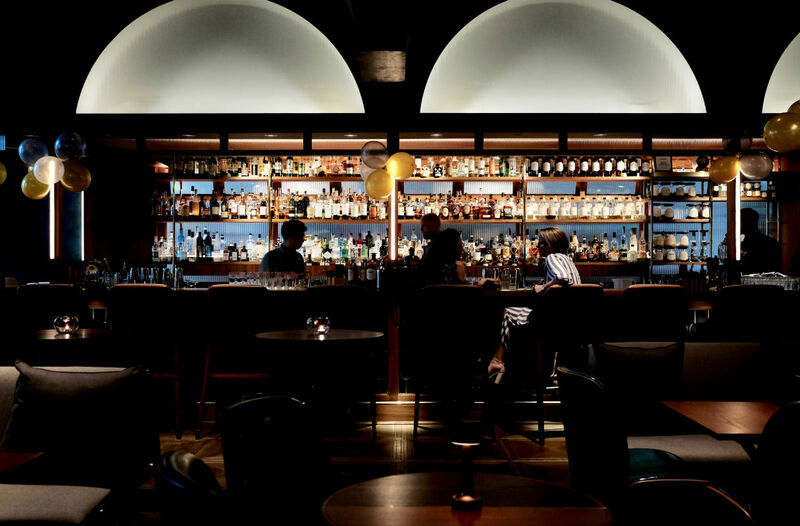 Opened late January 2018, Origin Bar started off as the cocktail bar component of Origin Grill & Bar in Shangri-la Hotel Singapore but has solidly established itself to be as one of the most important additions to Singapore’s bar scene since. It packs in a goodly-sized crowd comprising of hotel guests, local cocktail hounds and tourists on a daily basis; an achievement considering the competitive environment. When Origin Bar celebrated its first anniversary last week, it gave a sneak peek of the new cocktail menu it intends to launch next month. The new cocktail menu continues the focus on Singapore’s history, with drinks are inspired by different districts in the country. Indeed, we love the little well-researched historical tidbits that surround each cocktail. For example Hurricane Billy pays homage to “Hurricane” William Scott, for whom Scotts Road is named for. This take on the Manhattan is made with Scotch whisky, mace, cocoa, and salted banana vermouth; it’s a liquid hat-tip to the plantation owner who first brought cocoa to Singapore. Then there’s Lear Black (above). It’s inspired by American millionaire Van Lear Black who travelled on the first-ever commercial flight to Singapore back in 1929. 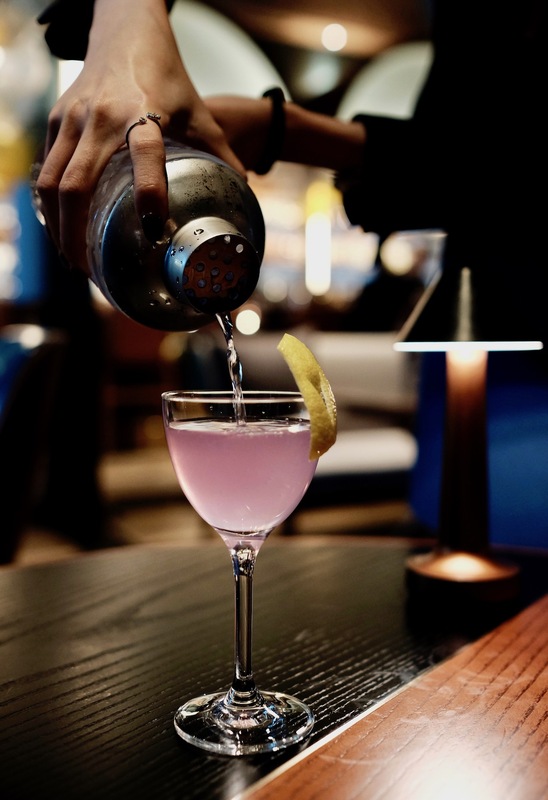 Now normally we’d frown on the parlour trick of combining citrus and butterfly pea flower – it turns any concoction a purplish-blue – which has been used to death, but here where you’re encouraged to mix your own drink it’s actually rather classy. More importantly, it’s one of the best twists on the classic Aviation we’ve tasted. On the other hand, Smoke For Sinners, and Ma-Sa-La are a tribute to Little India. The latter is a refreshing cocktail take on masala chai, while the former is smoky rum-based concoction that hearkens to incense-filled religious Indian ceremonies. We’re not too big on The Velvet, mainly because of its traditional Chinese medicine influence. Combined with dry Fino sherry the herbal, almost bitter, notes are bitingly prominent. On the other hand we love the Pacificano – it’s a spirit-forward drink yet fresh and sensual on the palate. The new cocktail menu – orchestrated by bar manager Adam Bursik – sees all the previous drinks replaced except for its namesake Origin. While we’re rather sad the Crystal Russian is no longer available, the new drinks are a marked improvement over the old. And for a year-old bar already drawing the crowds with its previous offerings, things are going to get even better.